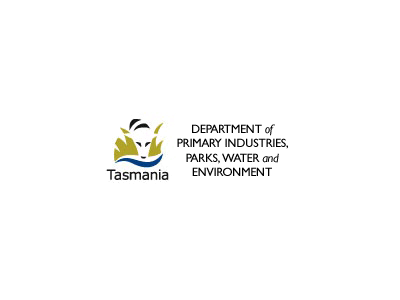 Greening Australia is working with scientists from the University of Tasmania on a range of research projects to ensure that our restoration of threatened species habitats in the Tasmanian midlands continues to be cutting-edge and provide solutions that will have the greatest positive impacts. To ensure that our restoration of threatened species habitat in the Tasmanian midlands continues to be leading-edge and provides solutions that will have the greatest positive impact, we are working with scientists from the University of Tasmania on a range of research projects. 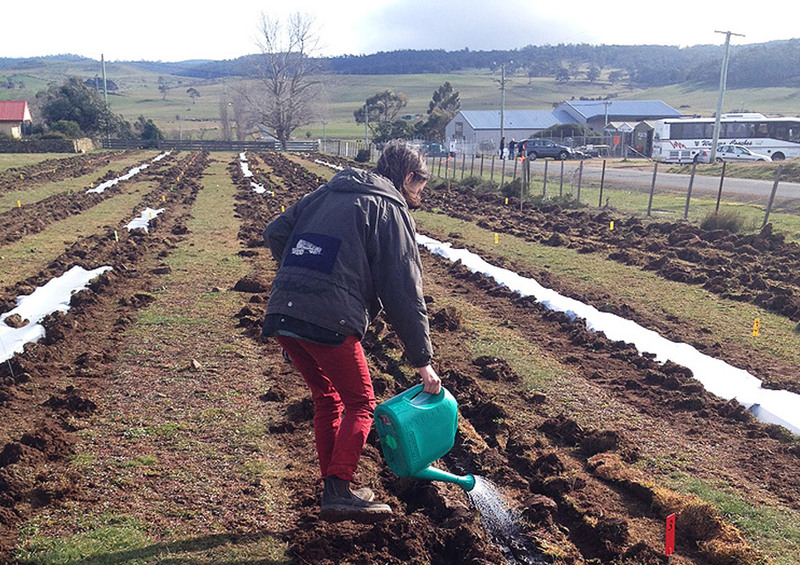 In one part of the midlands, researchers are working to understand and overcome the constraints on successful direct seeding of native species, whilst in another area, UTAS PhD students are investigating a new approach to restoration which is based on how animals use the landscape. In the past, restoration has tended to focus on a traditional human-centric approach which is based on the ‘if you build it they will come’ hypothesis. This approach largely ignores how animals use the landscape and what their individual needs are, which in some cases has resulted in species failing to repopulate newly restored areas. Led by Associate Professor Menna Jones, five PhD students from UTAS are investigating how animals use the landscape and what their individual needs are, such as what features they require in their habitat to find food while avoiding predators. The research is looking at connectivity at multiple scales from large-scale connectivity, like the patches of woodland in a sea of pastures, to fine-scale connectivity, such as the amount of cover individual animals need for refuge and shelter. Each student is researching different aspects of the project across 120 sites which effectively cover the entire midlands ecosystem. One of these is gap-crossing distances (how large a gap between patches in vegetation a species will comfortably cross) whilst GPS tracking collars placed on native and feral carnivore species are providing information about how they are using the landscape. 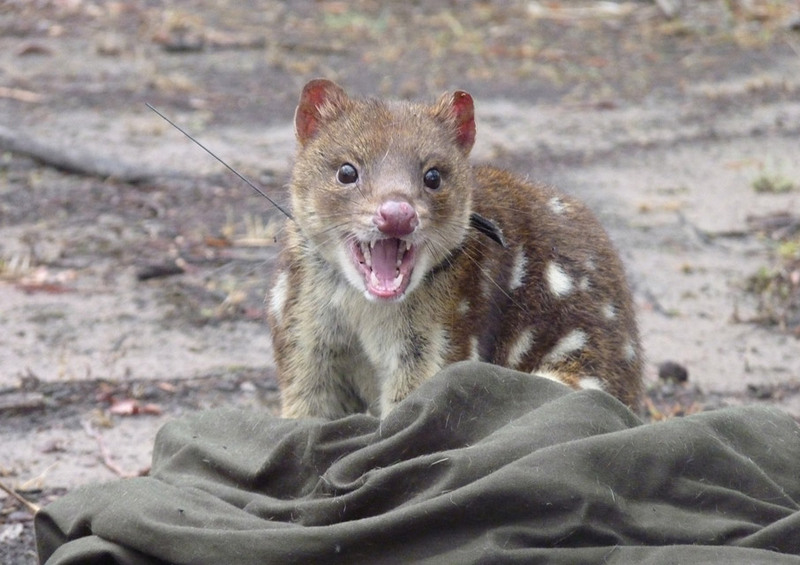 As well as tracking the movements of species like the Spotted-tailed Quoll and Tasmanian Devil, research is investigating the behavioral decisions they make along the way and how this affects their movements. Our research is helping to provide valuable data that will be used to inform future restoration work and advice that can be given out to farmers on how to manage their land sustainably.